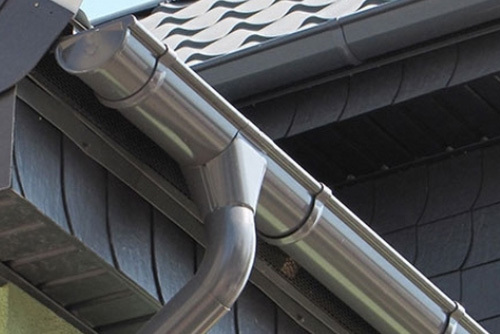 Supply and fit Guttering and Downpipes to residential homes with years of experience, competitive pricing and a professional approach to quality workmanship and guaranteed satisfaction with every installation. Gutters and Downpipes play an important role in the overall maintenance of a family home. But when those gutters and downpipes block up or leak, it’s another story. Puddles form and foundations get damp or even worse the gutters can over flow into the eaves and then into the walls and ceilings. Thousands of dollars in needless damage can result. All Gutters are completely stripped and all new levels are set so that the gutters are falling properly towards the downpipes and the water is flowing evenly between the downpipes. And while gutters and downpipes seem easy to install, proper gutter installation is a job best left to the professional. Properly maintained gutters add to the value and curb appeal of a property, as well as protect from erosion, water damage & cracked foundations.